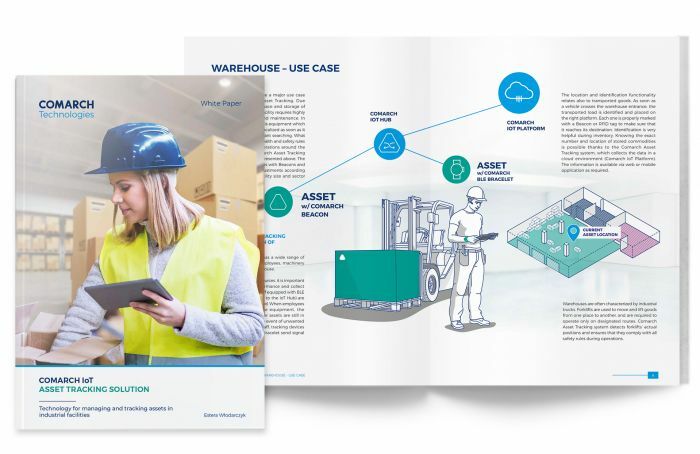 Download a free White Paper – Comarch Asset Tracking - Technology for managing and tracking assets in industrial facilities. The material explains the meaning of Asset Tracking, presents features and benefits of the solution as well. The content relates to logistics, especially to warehouses facilities. Find out more about the possibilities of Comarch Asset Tracking in warehouses by downloading a free White Paper.